What brought about this epiphany is still unknown. It is widely understood that Democrats and Republicans alike are capable of creating bad public policy on the homeless issue, but in Fresno the changes pivoted on this shift of power at City Hall. One of my friends suggested somebody must have put LSD in the water supply, causing this enlightenment. A faith-based friend told me that God had intervened and spoken directly to the newly elected officials about the treatment of those who are less fortunate than themselves. In the end, we will probably never know what forces combined to create this amazing story. With the support of other city council members, Chavez was able to implement new policies that helped the homeless in a profound way, rather than treating them like errant children who needed to be punished. Council President Esmeralda Soria made a motion to rescind the Homeless No Camping ban. Her motion passed 7-0 with Council Member Steve Brandau emotionally and sincerely sorry for his participation in having promoted such a draconian and heartless ordinance that clearly hurt and did not help the homeless. One of my friends suggested somebody must have put LSD in the water supply, causing this enlightenment. A faith-based friend told me that God had intervened and spoken directly to the newly elected officials. The political and ideological shift on the City Council happened when they realized that leaving people on the streets was actually costing taxpayers more than if they ended homelessness. It costs about $35,000 a year for the average homeless person to sleep on a sidewalk — that money is spent on policing, healthcare services (most homeless people use the emergency room as their primary care physician) and the web of social services (e.g., Westcare, the Poverello House, Rescue Mission). Studies have shown that homeless people with extreme medical needs can cost taxpayers up to $1 million each. Studies have shown that homeless people with extreme medical needs can cost taxpayers up to $1 million each. We spend those tax dollars on dealing with the manifestations of homelessness, when providing a homeless person with housing and the social services needed would cost far less. Fresno City Council members realized that the old way of addressing the problem had failed. They were ready for a new policy that would start by improving homeless people’s lives, with the long-term goal of ending homelessness in our community. In March, Council Member Miguel Arias made a motion to end the policy of forcing homeless people to “move on” and stopping the police and sanitation department from taking and immediately destroying their property. The new policy, which passed with no opposition, included a provision for all homeless people to have a safe and legal place to live. The city would make available city and county property around town where temporary encampments would be established. Each location would have drinking water, trash pickup, and portable toilets. This cleaned up the trash, sanitation and health risk of leaving homeless people with no place to go to the bathroom or throw away their trash. The policy shift of having safe and legal places (with facilities) for homeless people had other positive impacts on their lives. The homeless no longer felt under siege, they had a place to go to get out of the cold and rain, and they were now staying at places where social workers could find them and help with their needs. Some homeless people need a job, some need job training; others have addiction issues they need to work on, and still others have mental health issues that need attention. The city of Fresno’s dramatic shift in addressing homelessness was noticed by the Fresno County Board of Supervisors (BOS), which is in charge of most of the funding that goes to social services and indigent care. It was Supervisor Sal Quintero who realized it first. “If we don’t have to be spending tens of millions of dollars on the homeless overusing the emergency room at Community Hospital, the money could be used for getting them off the streets and on the path to living productive and happier lives,” Quintero said. The transition in shifting funds to end homelessness, rather than maintaining the status quo, was challenging for the BOS but essential to the success of this effort. Everyone agreed that the safe and legal places where the homeless would be living needed to be geographically diversified and that no one model would work for everyone. With state, county and city interests aligned in the struggle to end homelessness, grassroots activists started to get excited. When Nancy Waidtlow, founder of the Dakota Eco Garden (DEG) project, got her first $25,000 grant from the city to improve and expand the DEG project she was thrilled. Dyson, who is an architect, was given a $1 million grant to build three Eco Villages. Everyone agreed that the safe and legal places where the homeless would be living needed to be geographically diversified and that no one model would work for everyone. 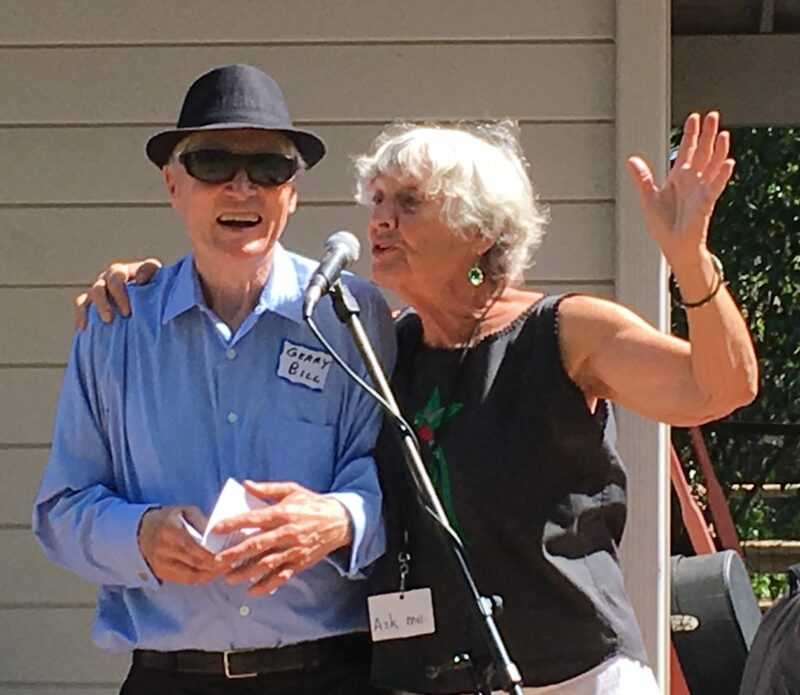 Gerry Bill said that “the key to making this work was the recognition that you have to have enough affordable housing to provide each homeless person with a place to live.” He added, “but that is not enough. Every homeless person will also need some help to get them on their feet. On April 20, Donald Trump and his family were finally taken out of the White House in handcuffs (charged with treason) and Vice President Mike Pence fled to Uruguay with embezzled funds. The path was cleared for Speaker of the House Nancy Pelosi to become the President. One of Pelosi’s first actions as president was to restore funding to Housing and Urban Development based on levels not seen since the 1960s. She threw in an additional $30 billion for affordable housing, which was the amount Trump wanted to spend on his insane wall. This is where some of the money to end homelessness in Fresno would come from. The United States is an incredibly wealthy nation and with the right people in power and the political will to tackle difficult problems, there is nothing we can’t do. Ending homelessness will take all levels of government working together to fund affordable housing, social services, and whatever else it takes. If this is to happen, we must build the foundation for a movement that will put people before profits, champion social and economic justice, and have a vision for how to get from here to where we want to be. 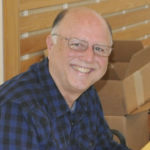 Mike Rhodes is an independent journalist and the author of “Dispatches from the War Zone: Homelessness in Fresno 2002–2015.” Contact him at mikerhodes@comcast.net. Explains Mike Rhodes: “This image was made by LoriAnne Tennison and the original photo was taken when I was giving Reality Tours of the homeless encampments in downtown Fresno. LoriAnne, who was homeless at the time, would often accompany me as we would talk about what it was like on the streets of this city. You forgot to add that the money for all these good works came from the military budget that was cut in half and all the toys of wars were re-fashioned into something useful and peaceful. As well as the corporate giants realized (or an extra helping of LSD that was in their champagne ) that to serve the people was healthier than exploiting them. This vision Mike Rhodes paints of solving chronic homelessness in a no nonsense, compassionate, ‘socially just, manner exists now at Community First (a 60 acre safe, dignified neighborhood of permanent, supportive housing ) in Austin, Texas. The thing that keeps Fresno from moving in the direction of solving chronic homelessness is hateful political rhetoric and destructive dependence on Federal/State dollars that is attached to stifling restrictions and regulations. The last three paragraphs containing partisan jabs and hatred are exactly why this community will never move forward in a collective, compassionate spirit. Playing fast and loose with partisan jabs does nothing to encourage the kind of community wide cooperation and generosity needed to help the homeless. Sorry to see the last three paragraphs full of diatribe that plays into ego, righteousness. Thank you GV WIre for publishing Mike Rhodes’ hope for solving homelessness and related issues in our community. Thank you Mike for your thoughtful writing.